Madonna Louise Ciccone (born August 16, 1958) is an American singer, Songwriter, Actress, and Businesswoman.The Remarkable, Hyper-Ambitious Material Girl who Never Stops reinventing herself, Madonna is a Seven-time Grammy Award-winner who has sold over three Hundred Million Records and CDs to adoring Fans Worldwide. Madonna Having Sold more than 300 Million Records Worldwide, Madonna is recognized as the Best-Selling Female Recording Artist of All Time by Guinness World Records. A Leading Presence during the Emergence of MTV in the 1980s, Madonna is known for Pushing the Boundaries of lyrical Content in Mainstream Popular Music, as well as Visual imagery in Music Videos and Live Performances. Madonna Performances have Consistently Drawn Scathing or Laughable Reviews from film Critics, and the Films have usually had tepid, if any, Success at the Box Office. 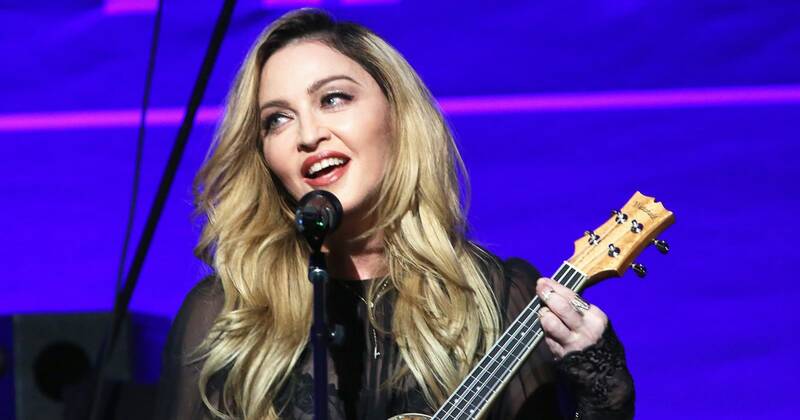 The Recording Industry Association of America (RIAA) listed Madonna as the Second Highest-Certified Female Artist in the United States, with 64.5 Million Album units. According to Billboard, Madonna is the most Successful Solo Act on the Hot 100 Singles Chart, Overall Second only to the Beatles. Madonna is the Highest-Grossing Solo touring Artist of All time, Earning U.S. $1.31 Billion from her Concert Tickets since 1990. Inducted into the Rock and Roll Hall of Fame in her First Year of Eligibility, Madonna topped VH1's Countdown of 100 Greatest Women in Music. Additionally, Rolling Stone listed Madonna Among the 100 Greatest Artists of All Time and the 100 Greatest Songwriters of All Time. ➯ Madonna is the Most Certified Artist of All time in United Kingdom, with 45 Awards from the British Phonographic Industry (BPI) as of April 2013. ➯ Madonna Remains the Highest-Grossing Solo Touring Artist, with over $1.31 Billion in Concert Gross Reported to Billboard Boxscore since 1990; Madonna First Crossed a billion gross with The MDNA Tour. ➯ Madonna has been honored with 20 MTV Video Music Awards, including the 1986 Video Vanguard Award for which she became the First Female Recipient. ➯ Madonna has the Second Highest Number of Accolades in the History of the Award. ➯ Madonna Holds the Record for the Most Number-Ones on All Combined Billboard Charts, including Twelve Number-one Songs on the Billboard Hot 100 and Eight Number-one Albums on the Billboard 200. ➯ Madonna has also Scored 38 Top-Ten Singles on the Hot 100, more than any other Artist in History. ➯ In 2016, the Magazine Listed Madonna as the Greatest Dance Club Songs Artist of All Time. ➯ Madonna First Concert was in April of 1985 in Seattle, Washington. Madonna First Concert in Canada that Same Year was in Toronto, Ontario. ➯ Madonna song, "Vogue", is a Tribute to the Glamour of Classic Hollywood. Celebrities Mentioned in the song are Greta Garbo, Marilyn Monroe, Marlene Dietrich, Joe DiMaggio, Marlon Brando, James Dean, Grace Kelly, Jean Harlow, Gene Kelly, Fred Astaire, Ginger Rogers, Rita Hayworth, Lauren Bacall, Katharine Hepburn, Lana Turner, and Bette Davis. ➯ Appeared in a Filmed Stage Play in 1980 Called "In Artificial Light", in which Madonna Wrote her own Part. 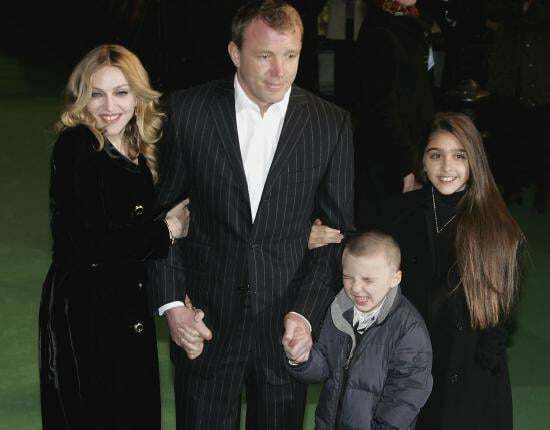 ➯ Madonna Song "Little Star" From her "Ray of Light" Album (1998) is dedicated to her daughter Lourdes Leon. ➯ The First Song Madonna ever wrote before she became Famous was a Song Called "Tell the Truth"
➯ In the Music video "Papa Don't Preach" (1986), Madonna's Father is Played by Danny Aiello. ➯ When I'm Hungry, I eat. When I'm Thirsty, I Drink. When I Feel Like Saying Something, I Say it. ➯ A lot of Leople are Afraid to Say what they Want. That's why they don't get what they Want. ➯ I Am my own Experiment. I am my own Work of Art. ➯ I want to be like Gandhi and Martin Luther King and John Lennon - but I want to Stay Alive! ➯ One of the Hardest thing I've Faced in my life was the Death of my mother, and that's Something I really haven't got over to this Day. ➯ If you take everything I do at face value, you're going to be Horrified. Or intimidated. Or insulted. Or Bored. ➯ When I was growing up, I was religious, in a passionate, adolescent way. Jesus Christ was like a Movie Star, my Favorite idol of All. ➯ I hate People who hate Women. Actually I hate People who Hate!